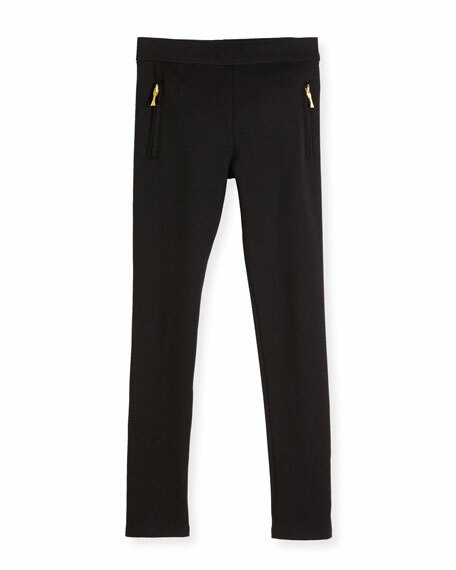 Ponte-knit leggings by kate spade new york. For in-store inquiries, use sku #1985197. 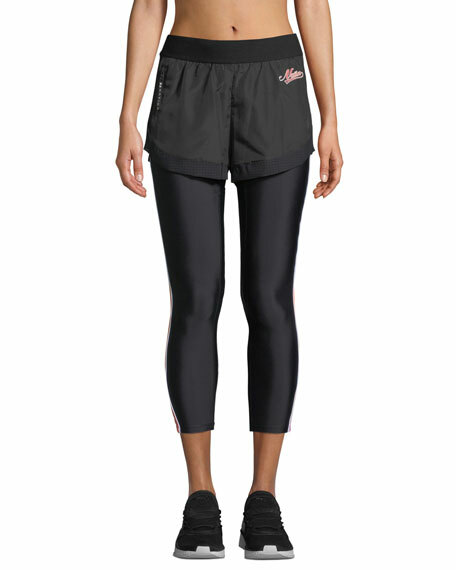 Koral Activewear "Lustrous" sport leggings in shiny Infinity fabric. Designed for medium performance. High rise; wide elastic waistband. Figure-forming legs. Pull-on style. Infinity fabric, nylon/Xtra Life Lycra Sport spandex. Machine wash. Made in USA of imported material. 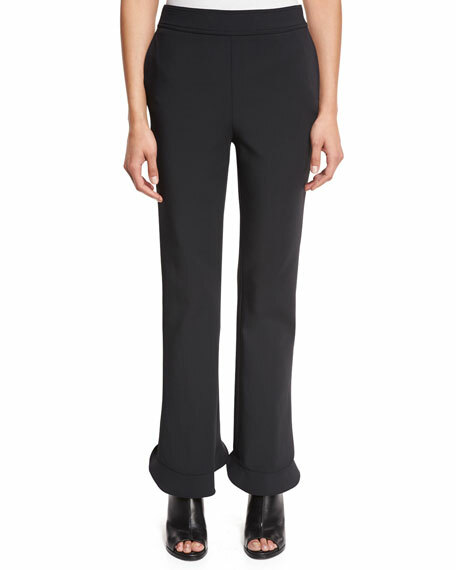 Opening Ceremony "William Circle" ponte pants. Relaxed fit with boot-cut leg openings. Arched ruffle hem cropped at ankle. Banded waist. Nylon/cotton/spandex. Imported. Model's measurements: Height 5'9"/175cm, bust 32"/81cm, waist 25"/64cm, hips 34"/86cm, dress size US 2.